Trinity Renewal Systems specializes in the manufacturing of floor renewal machines. 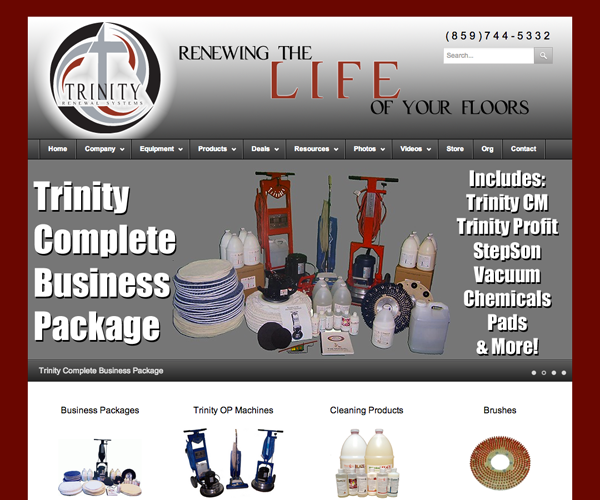 The two newest machines in their series are the Trinity CM and the Trinity Profit. They needed a site to showcase their machines, cleaning chemicals, business packages, and resources to help new entrepreneurs start their business. Their machines can clean carpet, area rugs, grout and tile, concrete, and wood floors.